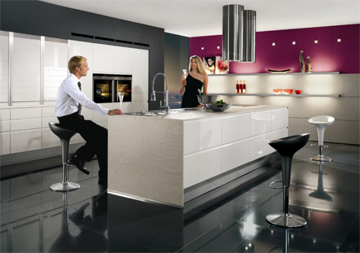 At Cabinets4u we have been supplying our customers since 1994. 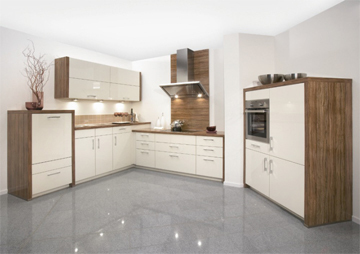 We offer flatpacks that are easy to put together are made from 16mm White HMR Particleboard. Cabinets and have one adjustable shelf, except Pantries which have five. Doors and Panels are 18mm MRMDF Melamine with a 3mm Pencil Edge and finished with Polyurethane Gloss white two pack paint to all edges and face side, with back of door being Satin white melamine.We have selected these doors and panels simply because over the years these have been by far the most requested combination by our customers, giving them the ability to use Benchtops,Splashbacks and even the Handle as ways of adding colour and design to the kitchen, as seen in pictures on this page. The next thing we sorted was hardware. We noticed that most Flatpack cabinet suppliers went to all the trouble of producing great cabinetry only to supply substandard hinges. Over the years we have found these hinges to either fail very quickly or fail within a one to two year span. We have taken all the hard work out of a DIY kitchen and made it a simple 7 step operation. 6. 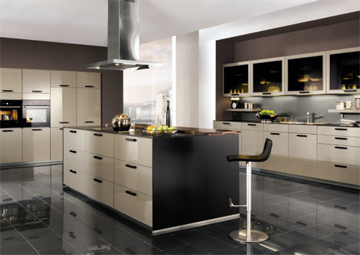 Send your enquiry to Cabinets4u and wait for a reply to confirm your order. Note: At no time will you be charged for any amount until you reply to our email asking for confirmation of the order.